Originality is so very strenuous to find in film - virtually everything has been done before or is a slight variation of something we've seen countless times before. And while 'Coriolanus' is not necessarily groundbreakingly inceptive (see: 'Romeo + Juliet'), the modern day narrative of the Shakespearian epic is a visceral explosion of eloquence that will have your synapses firing in rat-a-tat fashion. The film's thunder stems from the stellar Ralph Fiennes, a dual threat here, playing both the title role and director - his inaugural sit in that chair. The 1600's tragedy brought roaring into 2012, the war between Rome and the Volscian rebels fought not with swords but assault rifles. 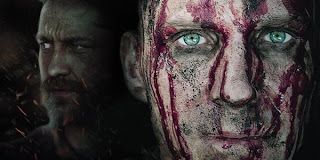 The brutally relentless Caius Martius Coriolanus leads the Romans in an onslaught on mortal enemy Tullus Aufidius (Gerald Butler) and his charge - Coriolanus making Lord Voldemort look like a wuss. Fiennes shoots the battle scenes in a brilliantly hyper-kinetic 'Call of Duty' fashion - consider yourself an embedded reporter. Whereas Coriolanus' military might is unquestioned, his PR skills are seriously lacking; the ordinary citizens consider the guy to be a bit too arrogant and iron-fisted for their tastes. Despite impassioned pleas from both his wife (a seemingly everywhere Jessica Chastain) and unyielding mom (a scintillating Vanessa Redgrave) to beg for the throngs approval, the extreme makeover attempt proves disastrous and cements his status as an outcast - banished from his post and left to fend for himself in exodus. With nowhere left to turn, the excommunicated Coriolanus comes grovelling to Aufidius - hell hath no fury like a shaved-headed tyrant scorned. My lone point of contention with 'Coriolanus' is the casting of Butler. After appearing in some serious dogs since his '300' coming out party, it's difficult to shake images of the guy hamming it up with rom-com stalwarts Jen Aniston and Katherine Heigl. While Butler embodies the role physically, there's a multitude of quality actors out there that wouldn't bring the baggage - not to mention his gruel-thick accent can become quite distracting. 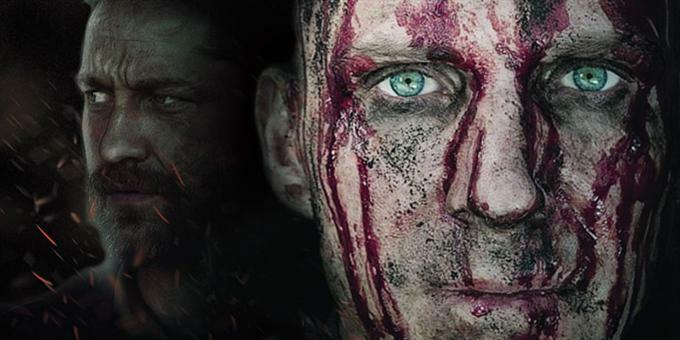 The minor issue aside, 'Coriolanus' is the first stellar film of 2012. The way Fiennes weaves the beauty of Shakespeare's words into every frame is mesmerizingly masterful. From news reports spoken as if they were penned by the literary great to a final chapter completely swathed in Shakespeare - its belletristic bond with the past is never broken but yet it's completely now. If this is how Fiennes rolls behind the camera, our next great director has raised his fist to the skies.